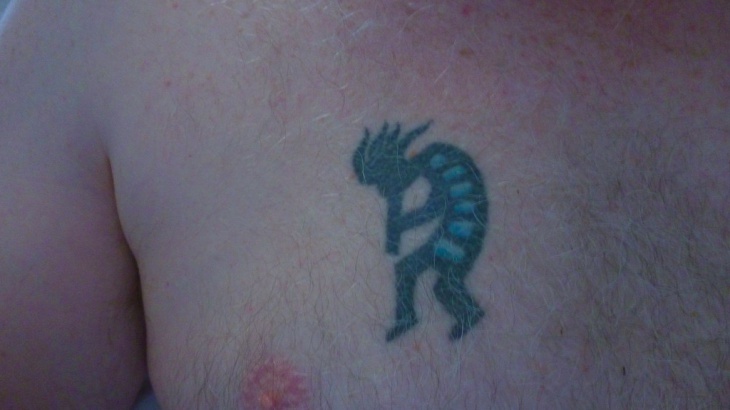 In pre-Columbian America, Kokopelli was worshiped as a God of fertility. It also means renewal. 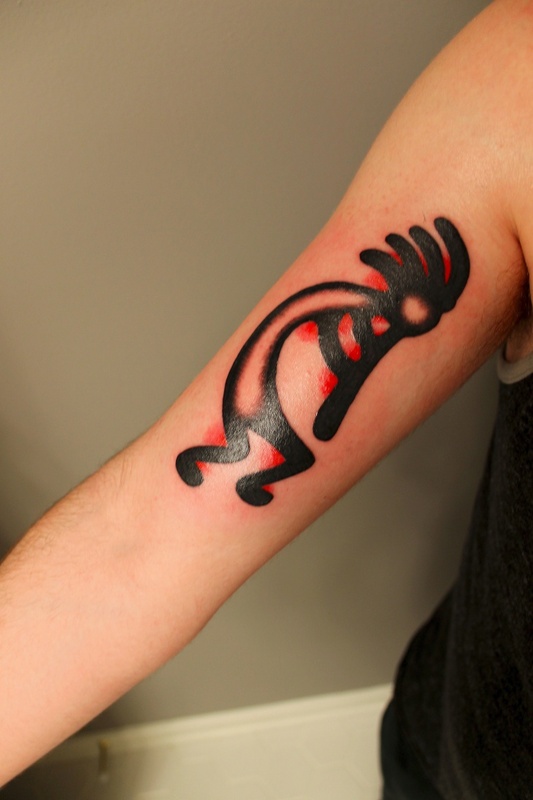 Thus, Kokopelli tattoo design represents people who believe in new decisions. 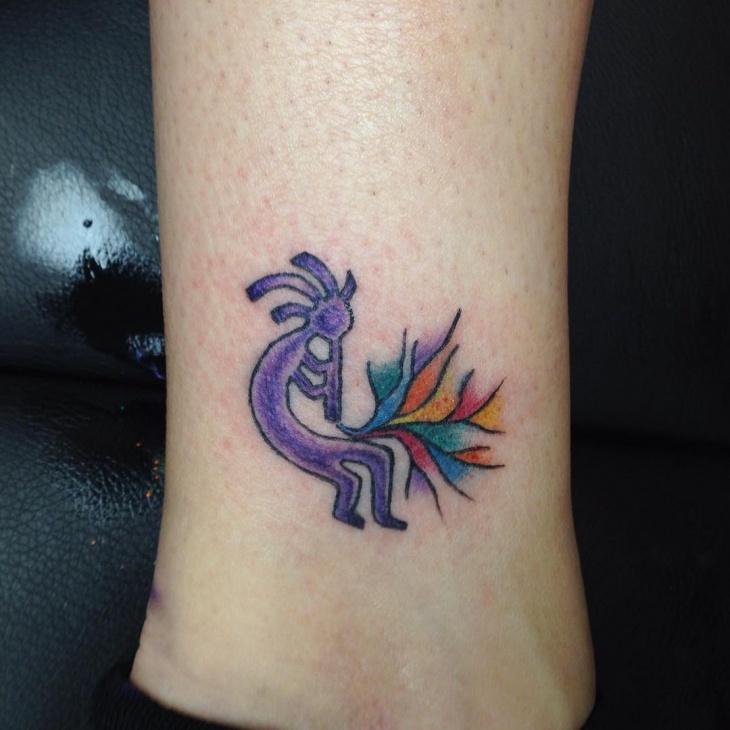 Kokopelli God is someone who is responsible for new babies being born, change of season, usually replacing winter with spring. Hopi Indians refer to him as agriculture protector. 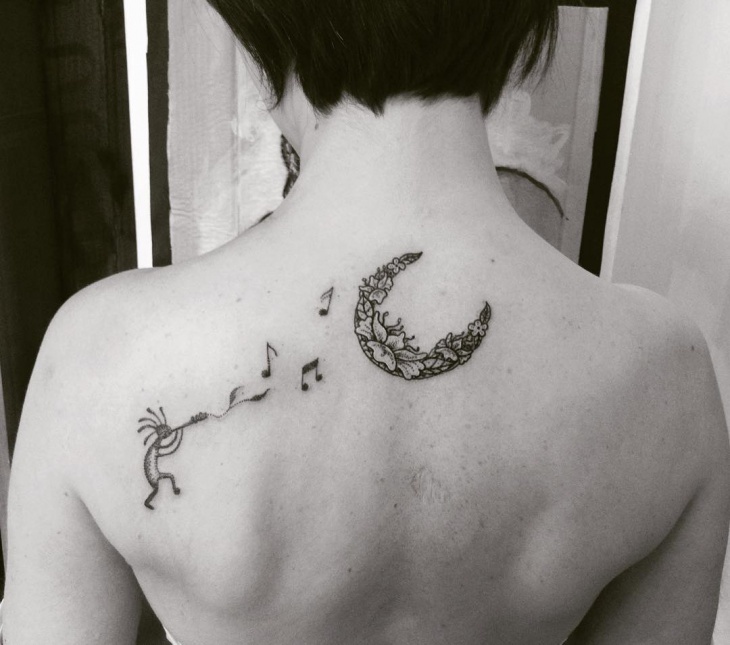 This kind of tattoo usually represents humpback silhouette with a flute, singing and dancing around. Sometimes it depicts a person or God who holds the flute upwards to the sky . 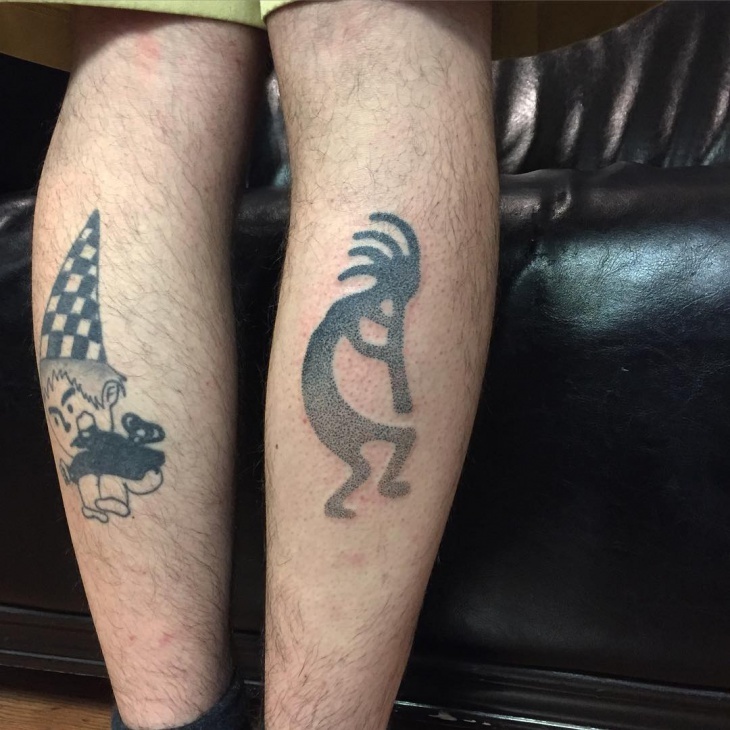 In recent times it could be seen alongside Tribal Turtle Tattoo. 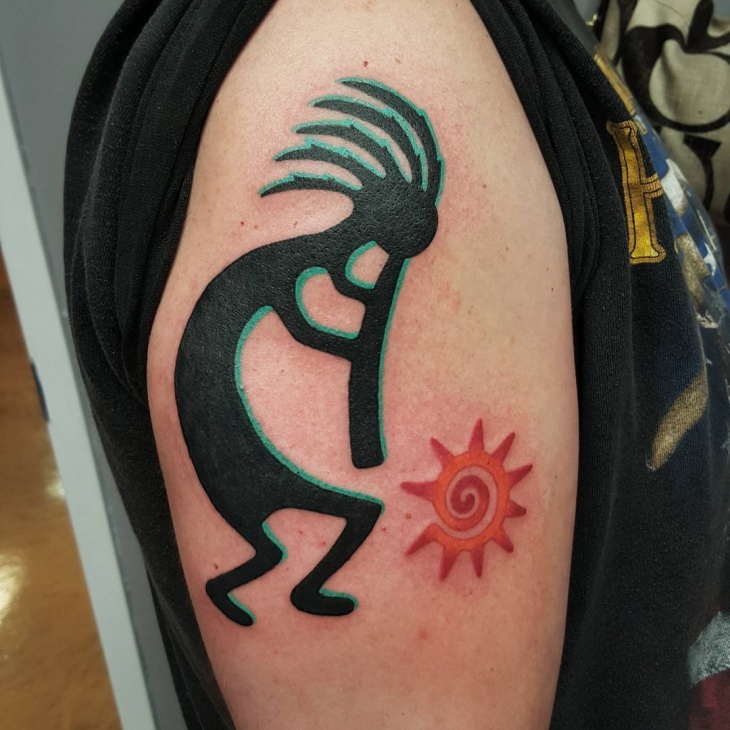 Kokopelli depicts Aztec warrior. The rounded back is actually a sack of goodies and the flute is an instrument to draw the attention of children. 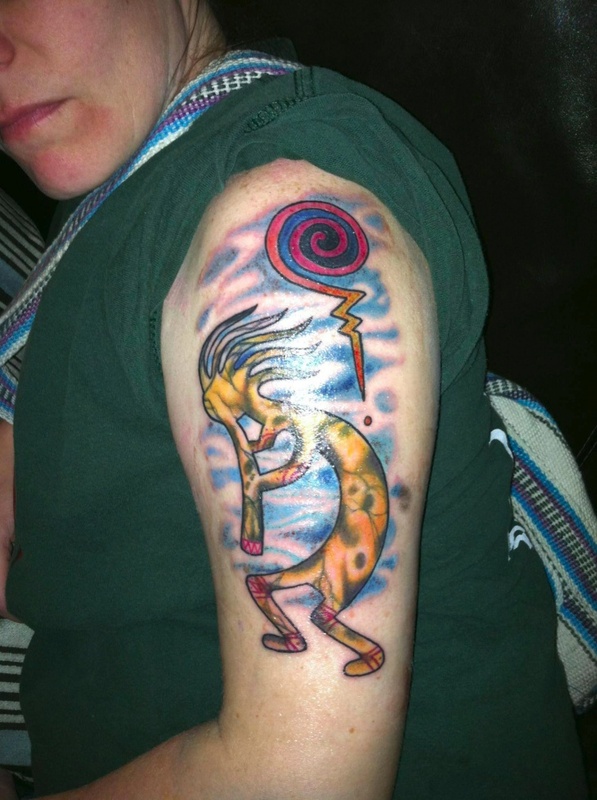 Usually colored with three different colors. Combining the dancing silhouette with other items is something that is seen frequently . 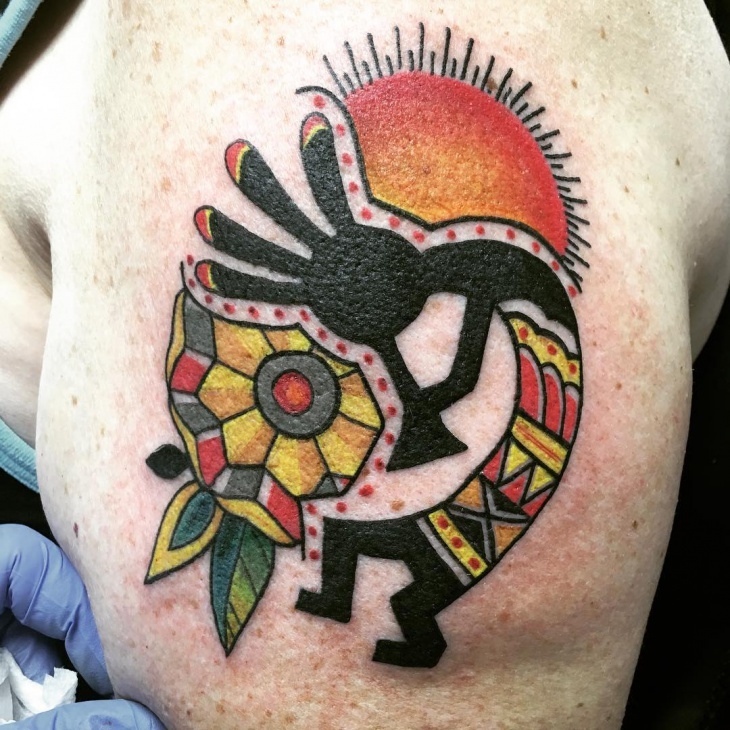 Some of the best design combos include the sun tattoo design, followed by animal representation, musical notes and not to forget tribal tattoo patterns. As said above, Hopi’s description of dancing god or a person who invites rain to fall down to earth and help produce food. Here, water colored scheme suggests plenty of water, implying plenty of food and getting personal and public wealth across the country. 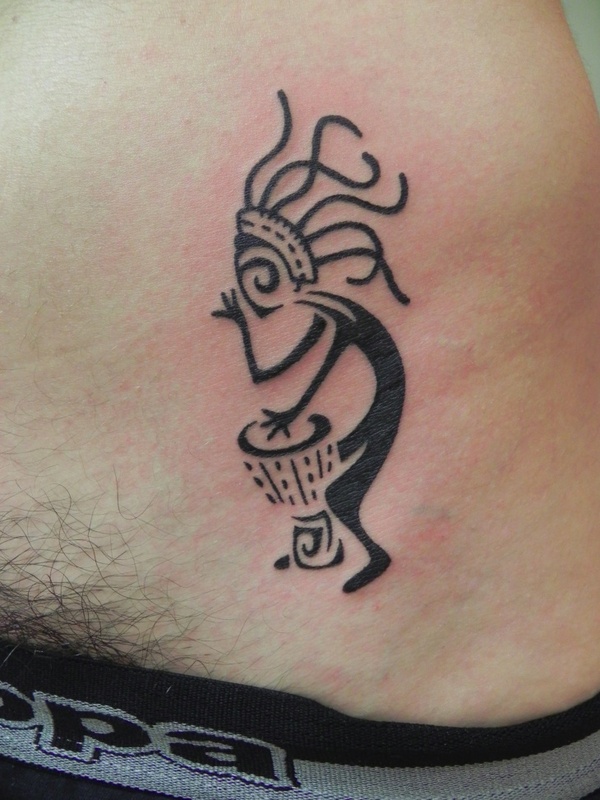 Traditional tattoo with a traditional place-shoulder blade. 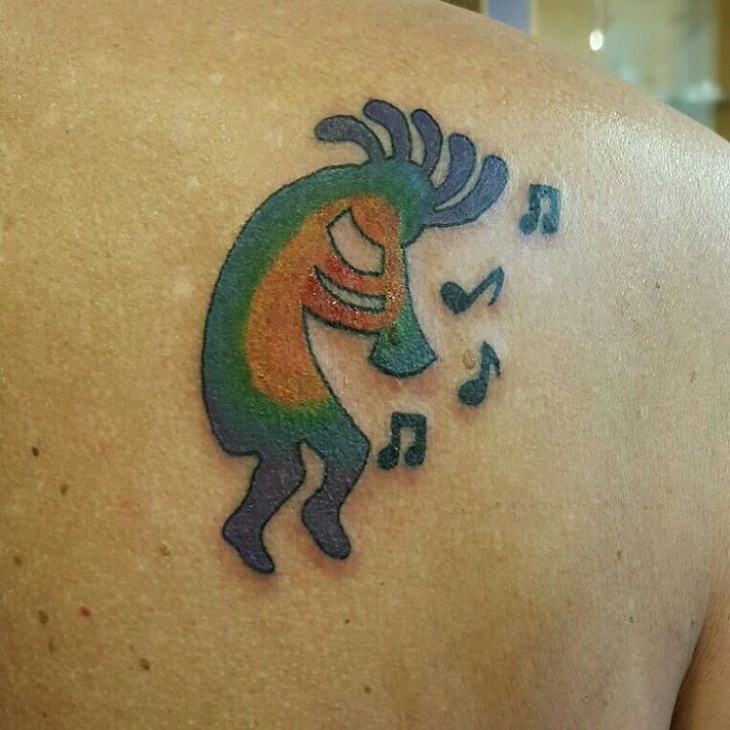 Musical notes represent a cheerful mood, implying a nice feeling of the proud owner. 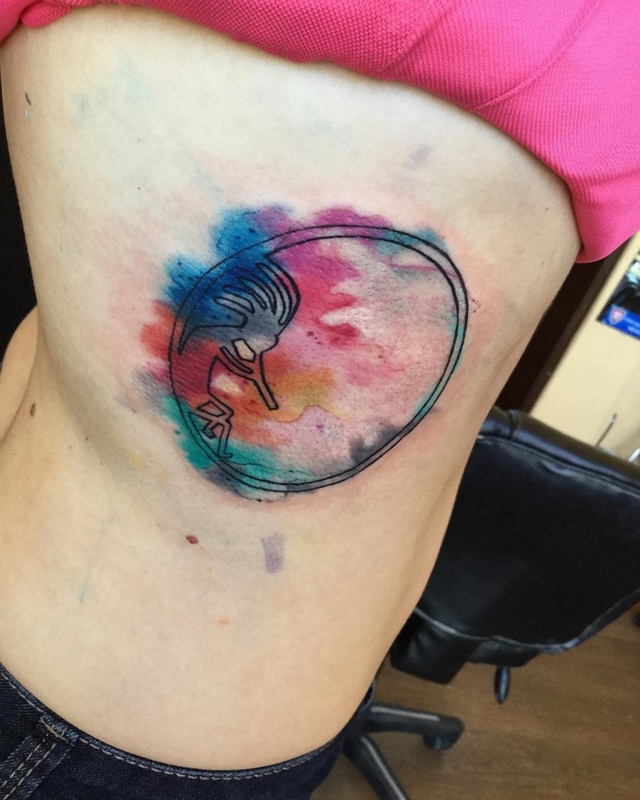 Simple, yet elegant expression of this artist with three to four color design. A new phase in life. Dots represent either relief from a negative energy or sublimation of positive energy. A true spirit of newly discovered truth in your life. 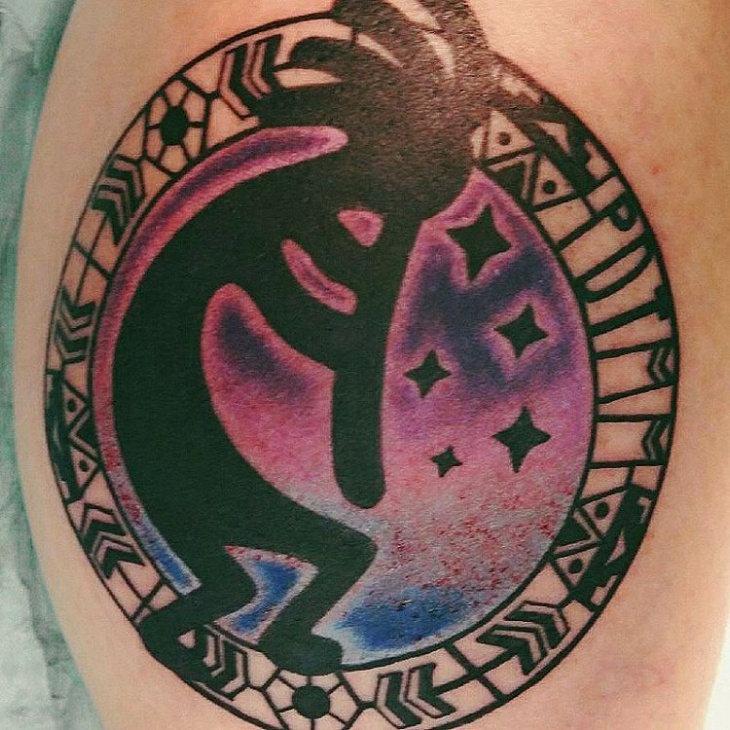 Usually shown in one dark color, with dotted background and the skin color depicting dancing figure. While some artists think that darker colors are spot on, other people prefer complex design. Basically, it represents silhouette surrounded by bright colors like orange or light red. Regardless of your choice, no one can ban you a free will. 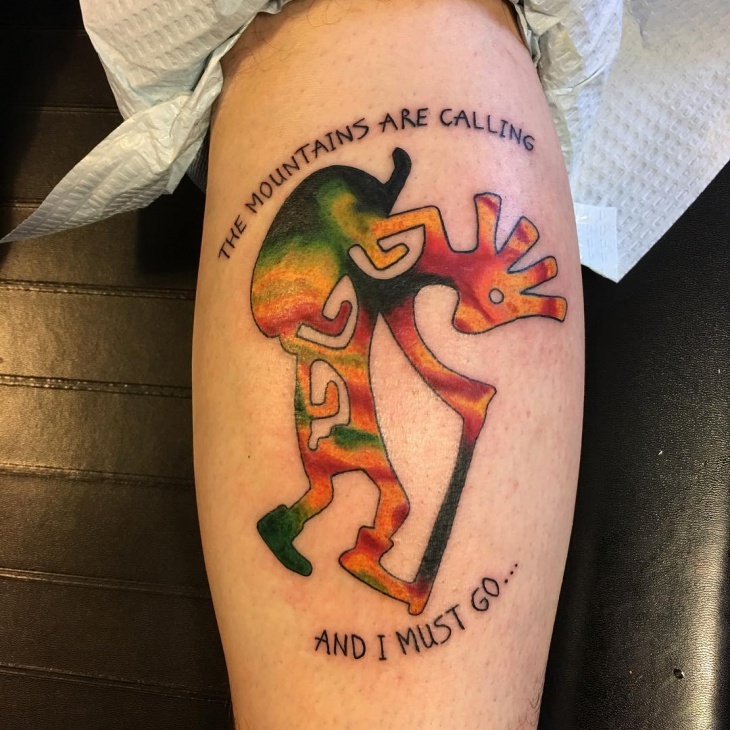 Ultra fun tattoo. 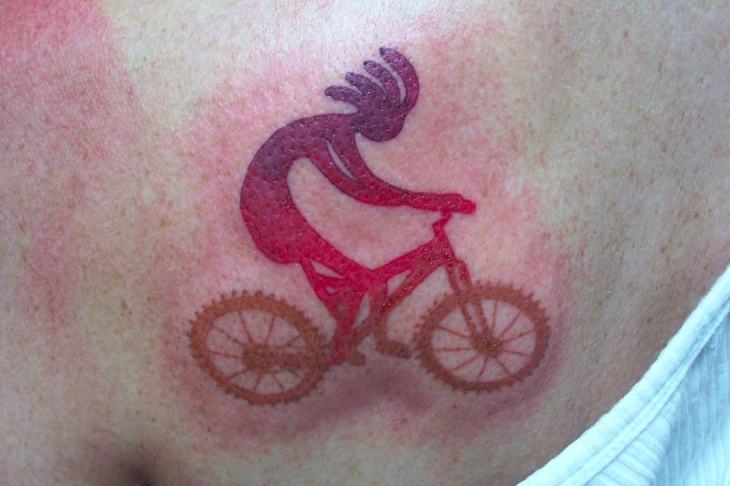 Great combination of modern mountain bike and traditional representation of Indian god. 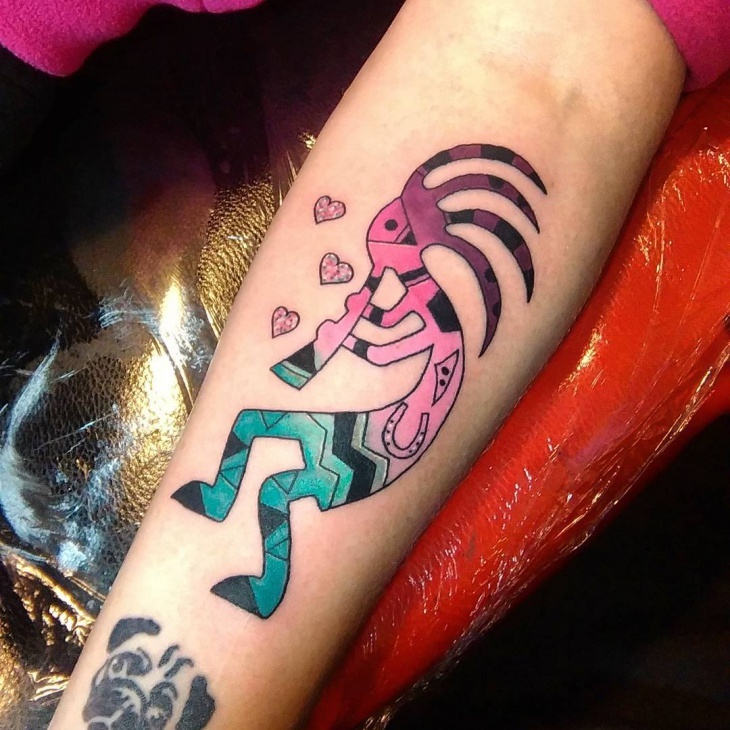 Have a certain dose of admiration nowadays as a way for someone who wants to express feelings of personal identity or interest in ancient American inhabitants. This is it, representation of freedom and free spirit in its purest form. A mixture of natural colors in one figure and adding a message with attitude. Spiritual meaning incorporated in monochrome color. 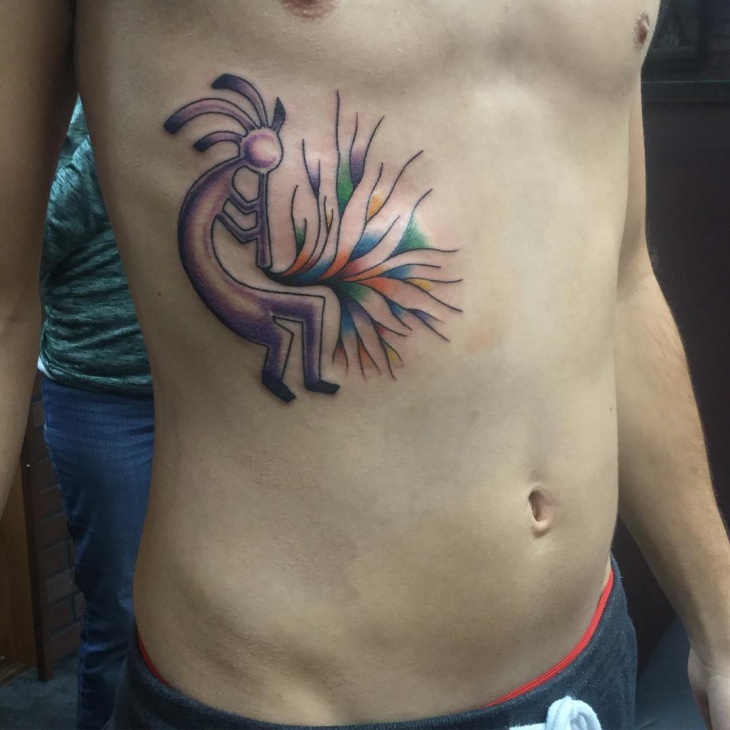 Represents unique feeling or secret known only to a person who owns it. The drum as an instrument of great vibe and rhythm gives a certain weight to this image. 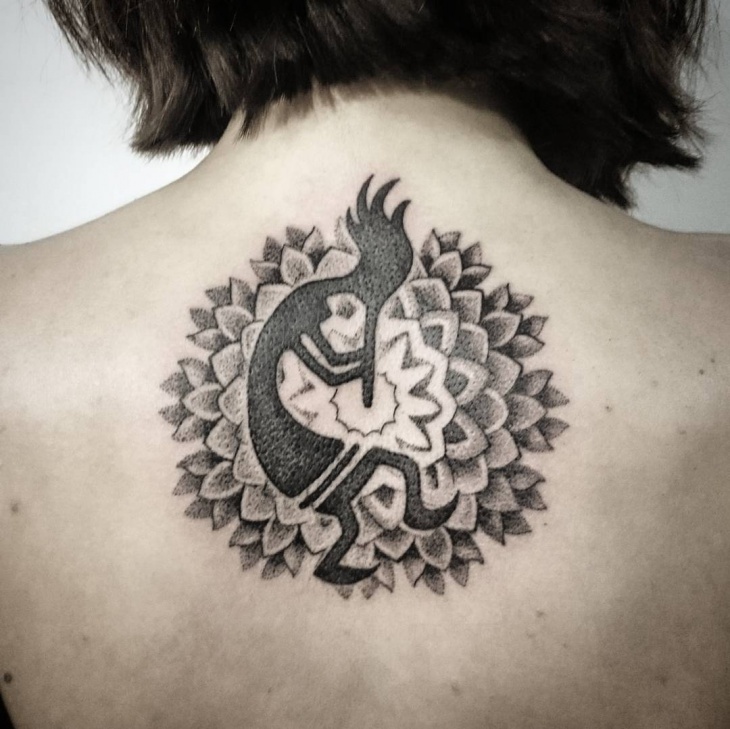 Indian culture represents in tattoo design unique blend of many creative traditional tattoo arts combined with modern ones. 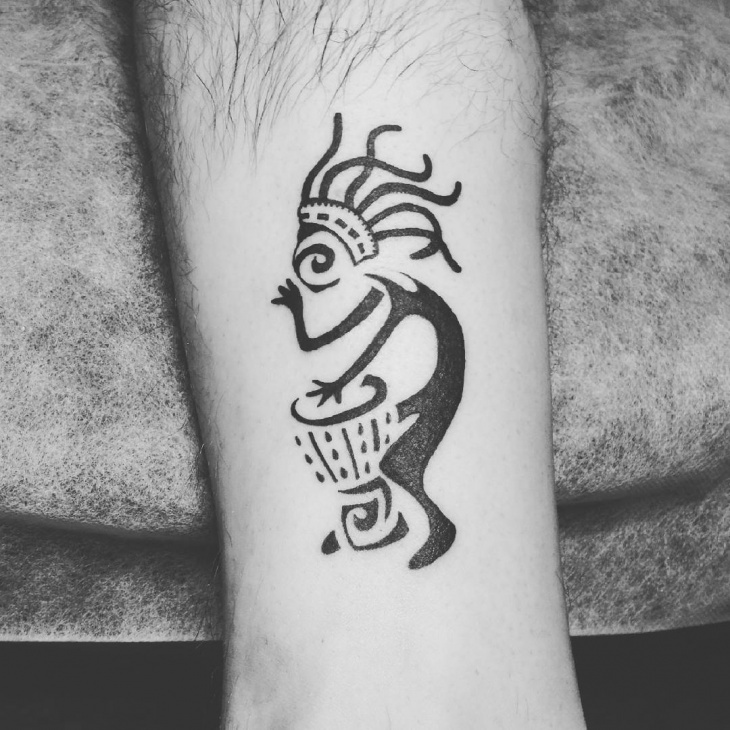 It could be compared to Polynesian tattoo arts, as it goes through time and space. We witness an ancient story of a man and God that has been receiving a lot of positive attitude in present times. Many of us who might well be attracted to nature of the traditional designs might include them to our next project.